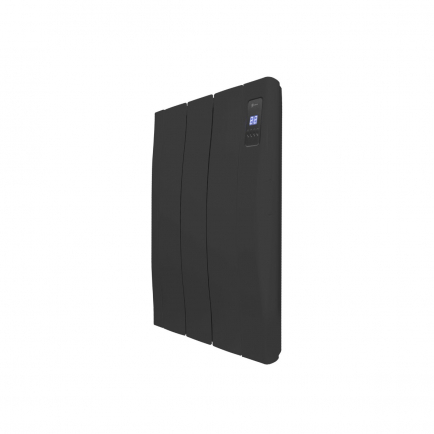 We sell designer electric radiators in a wide range of sizes to suit rooms both large and small. You can use our radiator calculator to work out what sizes you will need to heat your room effectively and efficiently. You will need to find a radiator or combination of radiators which adds up to the wattage required to heat your room. It is often best to choose a combination of radiators because this allows you to distribute the heat more evenly around the room – and take advantage of existing alcoves and wall spaces. What is a designer electric radiator? Designer electric radiators sport stylish contemporary designs and typically boast the most sophisticated programming controls. Stylish yet simple, striking yet slimline, designer electric radiators offer energy efficient heating in an attractive package. Designer electric radiators use fully enclosed heating elements so there’s never any chance of wall-blackening. They make a natural choice in modern flats, houses and offices – and can also make a striking addition to period properties. Can I paint my designer electric radiators? No, you should not paint your designer electric radiators because this can reduce the effectiveness of their heat output. What are your designer electric radiators made from? Many of our designer electric radiators are made from recycled aluminium. Aluminium is an excellent material for heating because it is lightweight and conducts heat well. When your radiator comes to the end of its life the aluminium can once again be recycled, making our designer radiators an excellent eco-friendly option. Aluminium is also sturdy, hard-wearing and looks smart. The bright white finish of the aluminium on our designer radiators adds the finishing touch to their contemporary design. 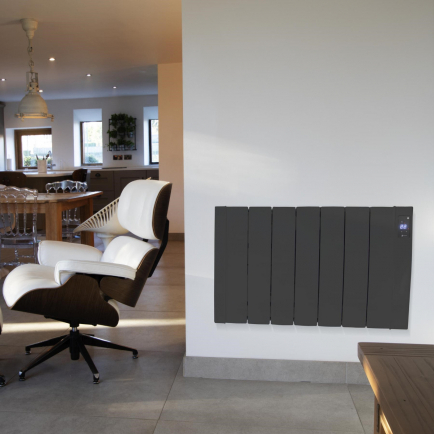 Designer electric radiators bring electric heating into the 21st century with contemporary styling, high precision heating control and space-saving slimline designs. Smooth curves, slim aluminium designs and a bright white finish make our designer radiators natural additions to contemporary living spaces, combining a sophisticated aesthetic with smart energy management systems and an efficient heat output. With a range of models suitable for heating rooms of all sizes, including rooms with high ceilings, you won’t struggle to find the perfect radiators for your design scheme at Electric Radiators Direct.